When buying things such as chicken breast from the store, always go for boneless skinless, it makes everything so much easier! Avoid the frozen section of the store, processed patties are loaded with hidden fats and preservatives! 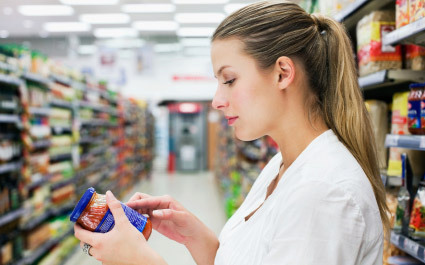 Always read labels, just because something says “Fat Free!” doesn’t mean it is. You will find that most items that you assume to be healthy really aren’t. Always check the sugar content on the back of the label. There are a lot of sauces and extra spices that are not on the HCG Diet food list that can be used for this diet. Thing like jalapenos, green chilies, hot sauce, are perfectly fine to use. Just make sure to read labels and avoid high sugar content. After you purchase your meats, it is always a good idea to come home, weight and separate it individually. This process makes getting a meal prepared much easier! More on prepackaging foods for the HCG Diet.